Xcel Energy Inc (NASDAQ:XEL) shares haven’t seen a lot of action during the third quarter. Overall, hedge fund sentiment was unchanged but it stands at its all time high. The stock was in 21 hedge funds’ portfolios at the end of the fourth quarter of 2018. At the end of this article we will also compare XEL to other stocks including Canadian Pacific Railway Limited (NYSE:CP), Sirius XM Holdings Inc (NASDAQ:SIRI), and Pinduoduo Inc. (NASDAQ:PDD) to get a better sense of its popularity. In today’s marketplace there are a large number of signals investors put to use to grade publicly traded companies. Two of the most under-the-radar signals are hedge fund and insider trading sentiment. Our experts have shown that, historically, those who follow the top picks of the elite investment managers can outperform their index-focused peers by a healthy amount (see the details here). Let’s take a look at the latest hedge fund action regarding Xcel Energy Inc (NASDAQ:XEL). What does the smart money think about Xcel Energy Inc (NASDAQ:XEL)? At Q4’s end, a total of 21 of the hedge funds tracked by Insider Monkey were bullish on this stock, a change of 0% from the previous quarter. 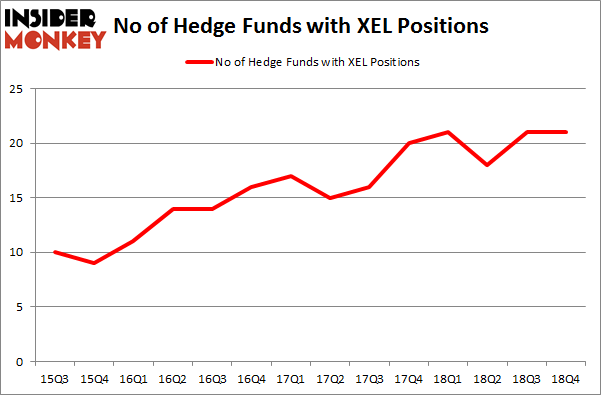 On the other hand, there were a total of 21 hedge funds with a bullish position in XEL a year ago. With hedge funds’ positions undergoing their usual ebb and flow, there exists an “upper tier” of notable hedge fund managers who were adding to their holdings substantially (or already accumulated large positions). According to Insider Monkey’s hedge fund database, Renaissance Technologies, managed by Jim Simons, holds the most valuable position in Xcel Energy Inc (NASDAQ:XEL). Renaissance Technologies has a $259.7 million position in the stock, comprising 0.3% of its 13F portfolio. 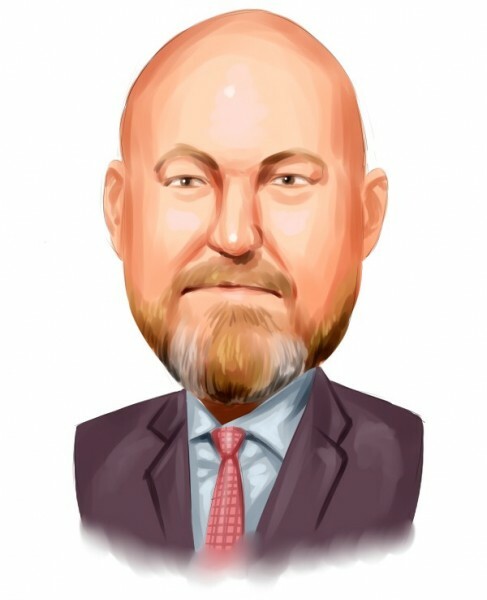 The second largest stake is held by Cliff Asness of AQR Capital Management, with a $56.5 million position; the fund has 0.1% of its 13F portfolio invested in the stock. Remaining hedge funds and institutional investors that hold long positions consist of John A. Levin’s Levin Capital Strategies, David Harding’s Winton Capital Management and Dmitry Balyasny’s Balyasny Asset Management. Due to the fact that Xcel Energy Inc (NASDAQ:XEL) has faced declining sentiment from the smart money, it’s safe to say that there is a sect of money managers that decided to sell off their positions entirely in the third quarter. Intriguingly, Phill Gross and Robert Atchinson’s Adage Capital Management dropped the largest investment of the 700 funds followed by Insider Monkey, valued at about $30.9 million in stock, and John Overdeck and David Siegel’s Two Sigma Advisors was right behind this move, as the fund dropped about $22.4 million worth. These moves are intriguing to say the least, as aggregate hedge fund interest stayed the same (this is a bearish signal in our experience). Let’s now take a look at hedge fund activity in other stocks – not necessarily in the same industry as Xcel Energy Inc (NASDAQ:XEL) but similarly valued. We will take a look at Canadian Pacific Railway Limited (NYSE:CP), Sirius XM Holdings Inc (NASDAQ:SIRI), Pinduoduo Inc. (NASDAQ:PDD), and Thomson Reuters Corporation (NYSE:TRI). This group of stocks’ market valuations match XEL’s market valuation. As you can see these stocks had an average of 25 hedge funds with bullish positions and the average amount invested in these stocks was $905 million. That figure was $559 million in XEL’s case. Canadian Pacific Railway Limited (NYSE:CP) is the most popular stock in this table. On the other hand Thomson Reuters Corporation (NYSE:TRI) is the least popular one with only 19 bullish hedge fund positions. Xcel Energy Inc (NASDAQ:XEL) is not the least popular stock in this group but hedge fund interest is still below average. Our calculations showed that top 15 most popular stocks among hedge funds returned 19.7% through March 15th and outperformed the S&P 500 ETF (SPY) by 6.6 percentage points. Hedge funds were also right about betting on XEL, though not to the same extent, as the stock returned 15.5% and outperformed the market as well.